eCommerce guru, Bill D’Alessandro is back on the show this week to join me in a review of hiring our first employees. We discuss everything from what we did right, where we were able to mix it up, and what we completely missed the mark on. We also take some time to catch up on what has been going on since our last episode. On this week’s episode, using our experiences from the last 6 months of working through the hiring process, Bill and I come up with 6 lessons to a successful hire. You don’t want to miss this episode’s beneficial tips that will save you countless wasted hours and reduce your risk of hiring the wrong person. 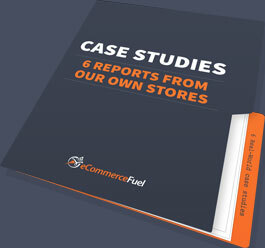 How Bill was able to dramatically increase his conversion rate by making one simple change. Why it is important not to forget to account for the time you will need to take to train your new employees. Why you should ask from the very beginning what your interviewees’ salary requirements are and what their 5-year plan is. How the first two employees you hire will define the culture of your company. The importance of being careful on how many people you interview (you may fall victim to your own cognitive biases). Why Bill prefers to use Craigslist for qualified interviews over LinkedIn or utilizing his email list.